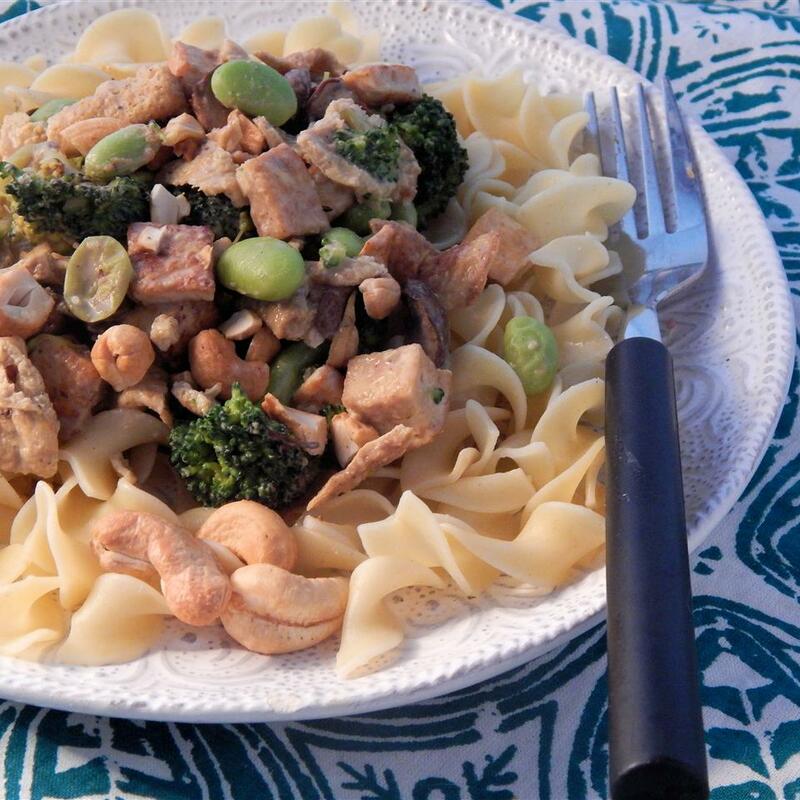 Easy, quick, and tasty meal. A favorite in our household. Excellent!! 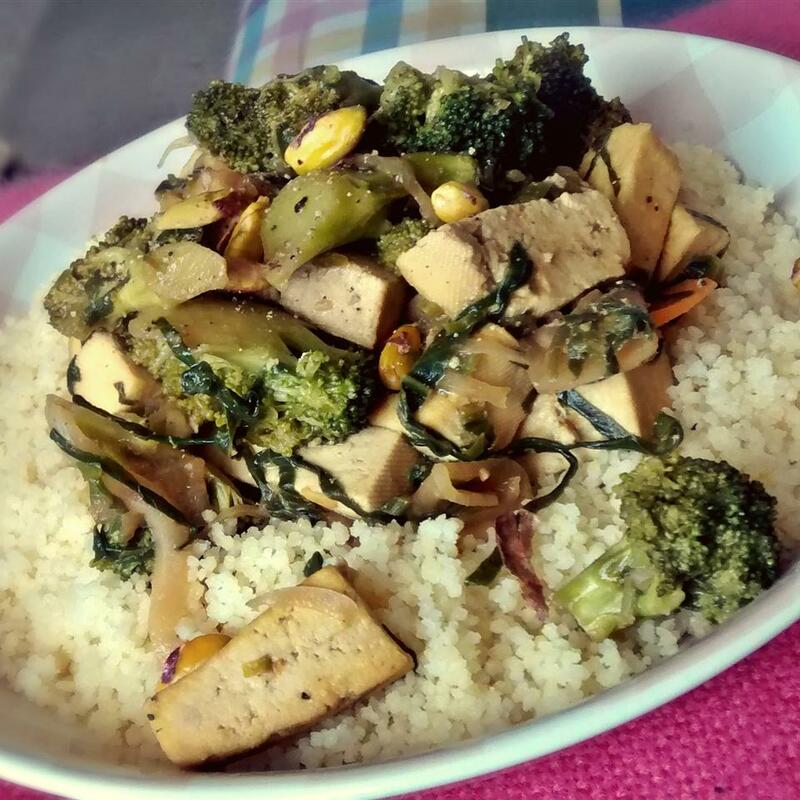 However I took the advise of others and pan fried the tofu in garlic ginger and oil first increased the veggies a bit and used natural (unsweetened) peanut butter to make it less sweet. FANTASTIC! Also added crushed peanuts on top and served over angel pasta. Everyone wanted thirds!! Deliciously addictive. I didn&apos;t actually try the recipe strictly as written but followed some of the advice from other posters. I fried the tofu first so it got a crispy exterior (I then removed it and added it back in during the final cooking stages). 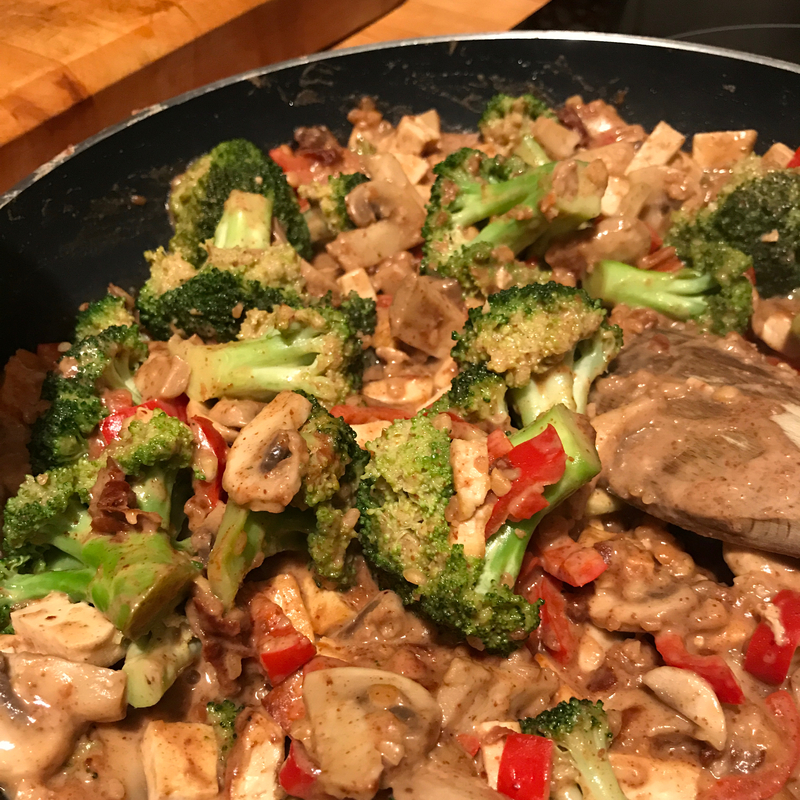 I also sauteed a tablespoon each of minced garlic and ginger in the center of the pan immediately before adding the sauce mixture to the vegetables. Rather than add cayenne I put a spoonful of Hunan red chile sauce in the sauce mixture. Finally I stirred in some chopped green onions and sesame oil and squeezed on some lime juice immediately before serving. Oh and (as others have suggested) crunchy all-natural peanut butter adds great texture to this dish. The final product had plenty of spicy-tangy-garlicky-peanutty sauce to coat all the tofu and vegetables and flavor the rice. 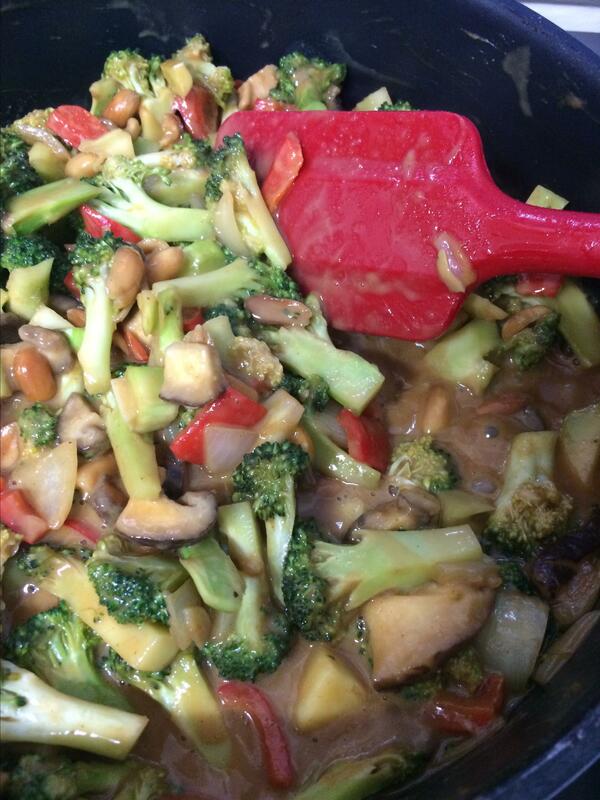 The vegetables were nicely crisp-tender when I stir-fried them on high heat for the recommended time. Pretty quick and simple -- I&apos;ll definitely make this again. I had good results with this. 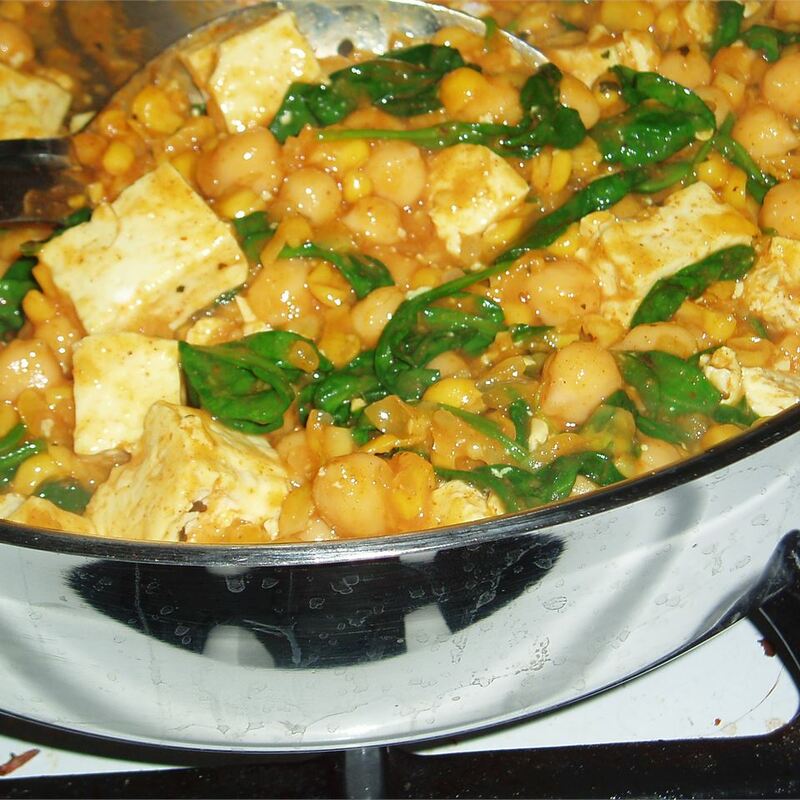 I have a good trick for cooking with tofu though. 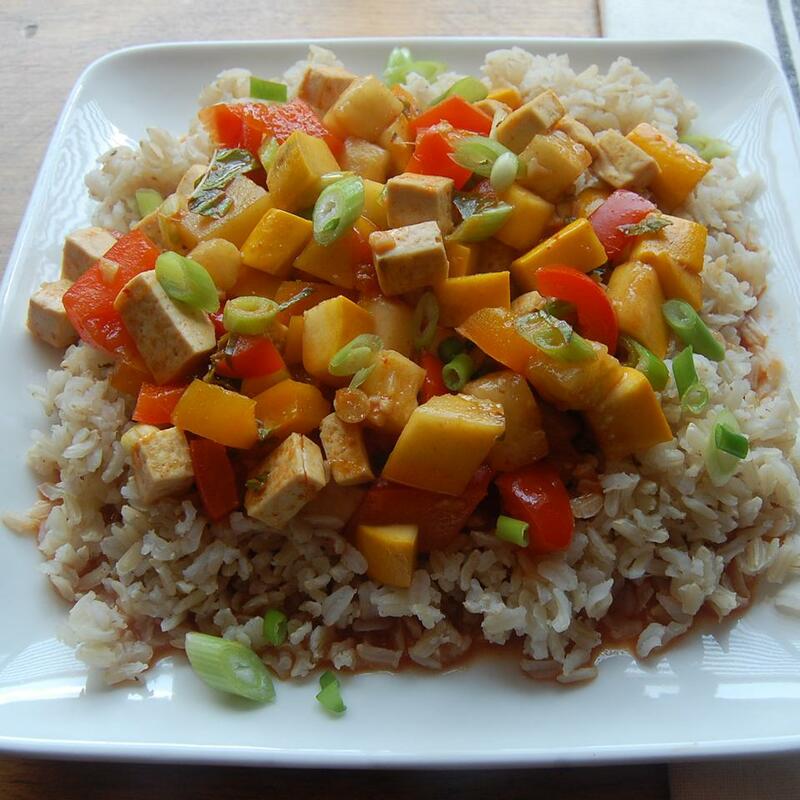 I freeze tofu first then thaw it out and squeeze it gently to get as much fluid out as possible. THEN I dice it up. 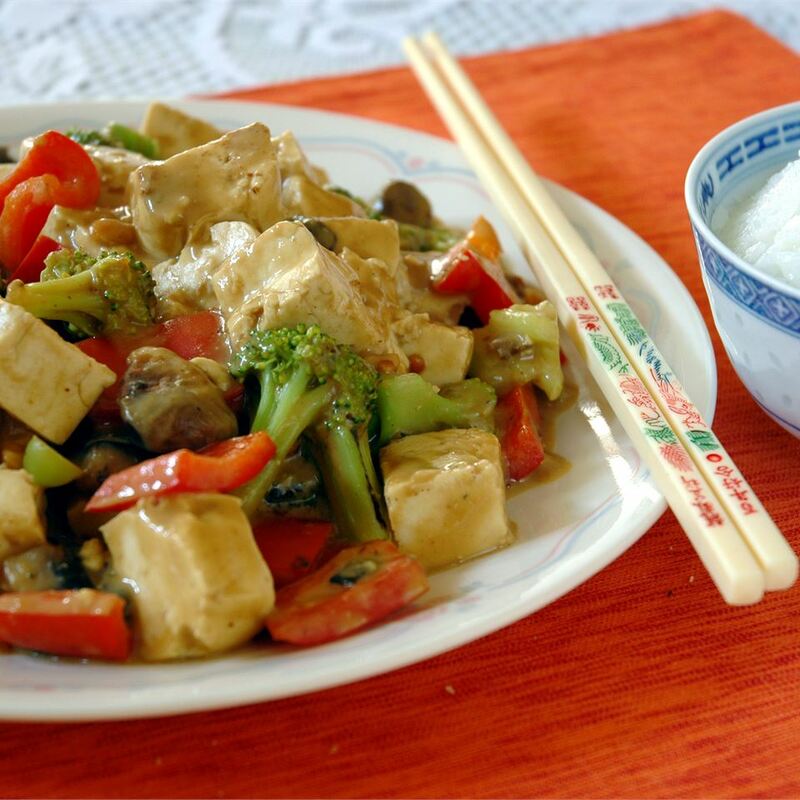 This process gives tofu a much more cohesive and "meaty" texture and also causes it to marinate and brown more effectively. 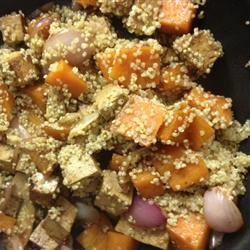 Try this recipe again and see how it comes out. Also if molasses doesn&apos;t suit you try honey or even add some ginger. Pretty good. It is peanuty and I used natural peanut butter. 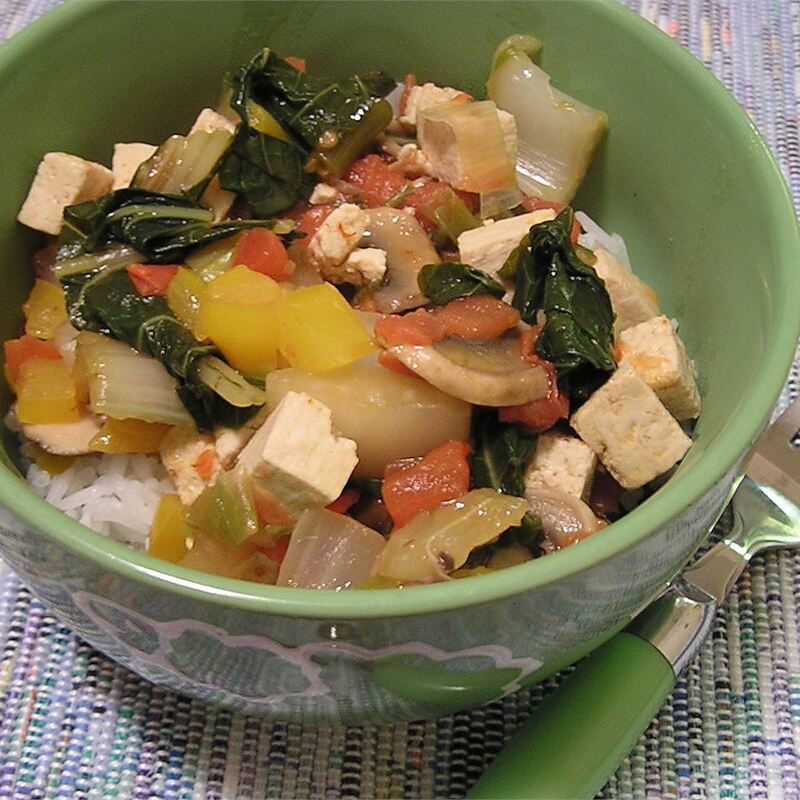 I also browned the tofu (with some fresh grated ginger and minced garlic) before adding the rest of the veggies. Other than that I followed the recipe almost exactly adding some crushed red pepper to the sauce. 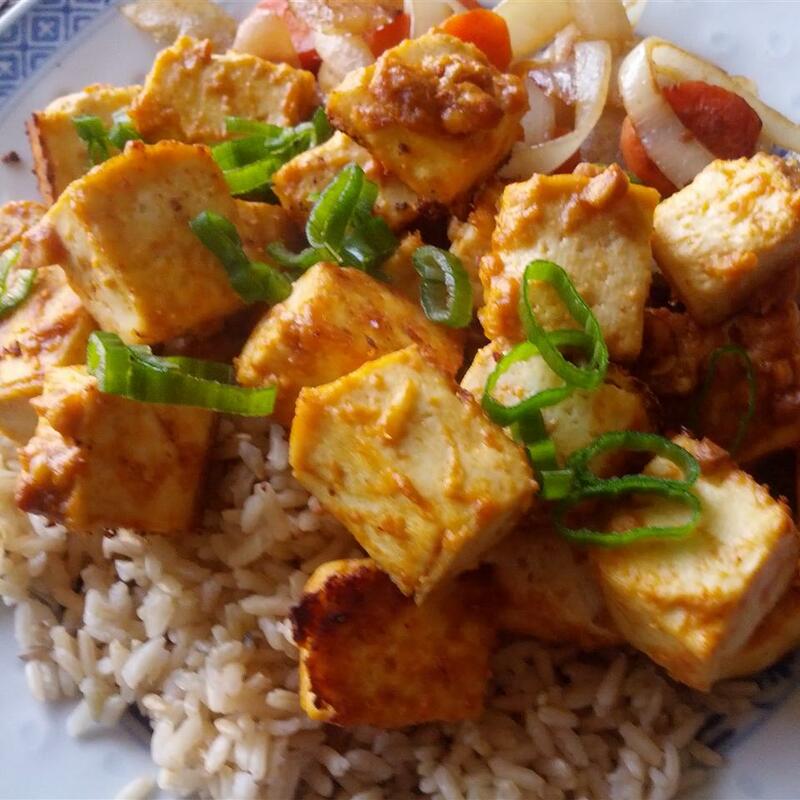 Next time I will also brown some onions along with the tofu and I will probably use only 1/4 cup of peanut butter. I will add some vegetable broth as well so the sauce isn&apos;t quite as thick. I think it&apos;s a keeper with just a few tweaks. I served over brown rice which was good. Thanks for the yummy recipe Anne. I love peanut butter so I didn&apos;t think that it was too much. I changed the recipe a bit though. 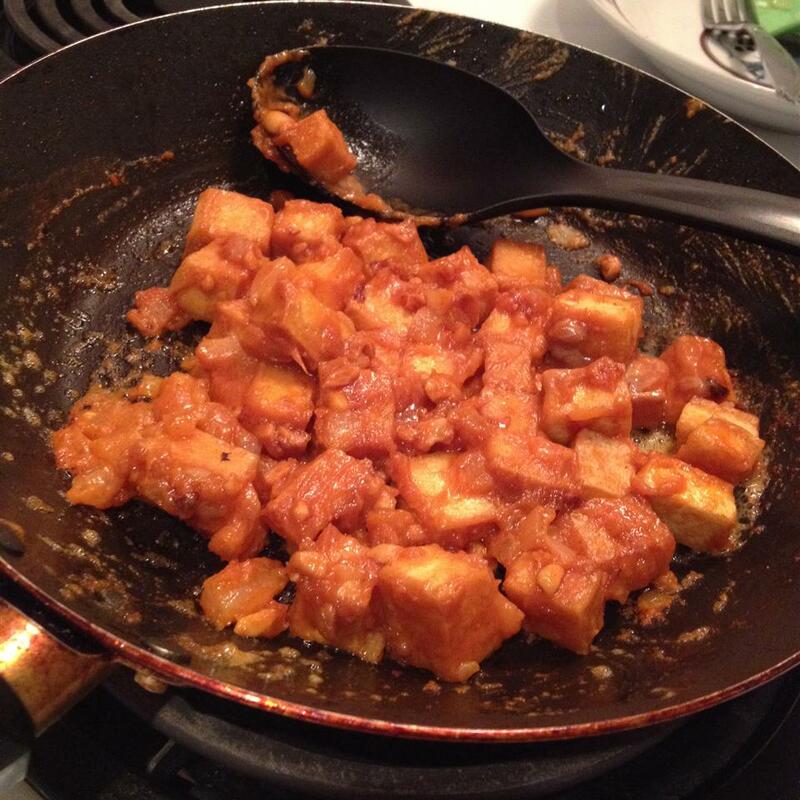 I fried the tofu in garlic and ginger first then removed the tofu and added it with the sauce at the end. I also added green onions. Delicious! I will definately make this again. 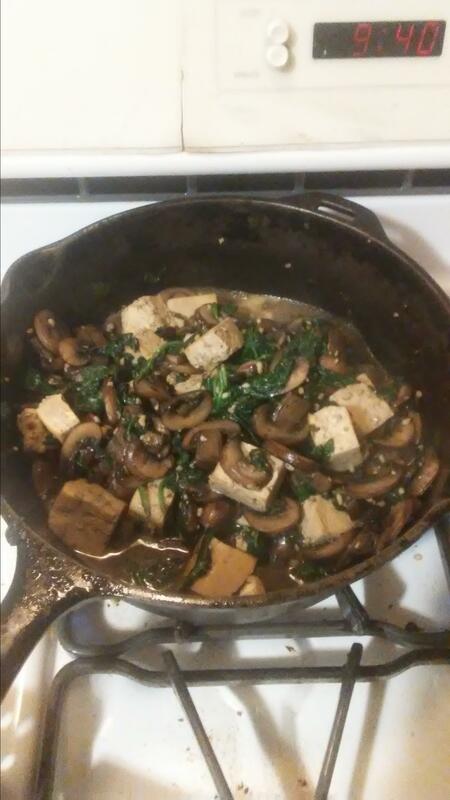 It was my first time cooking tofu. Thanks. 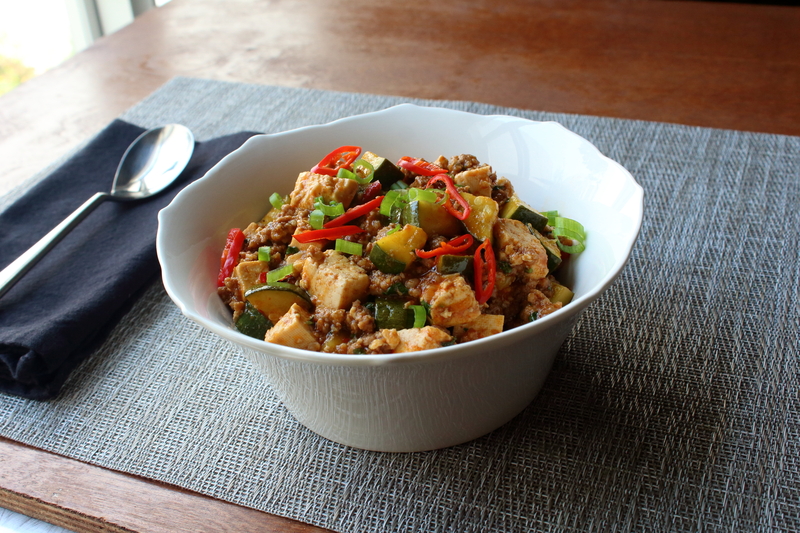 This is a very tasty dish and quite easy considering the amount of flavor you end up with. 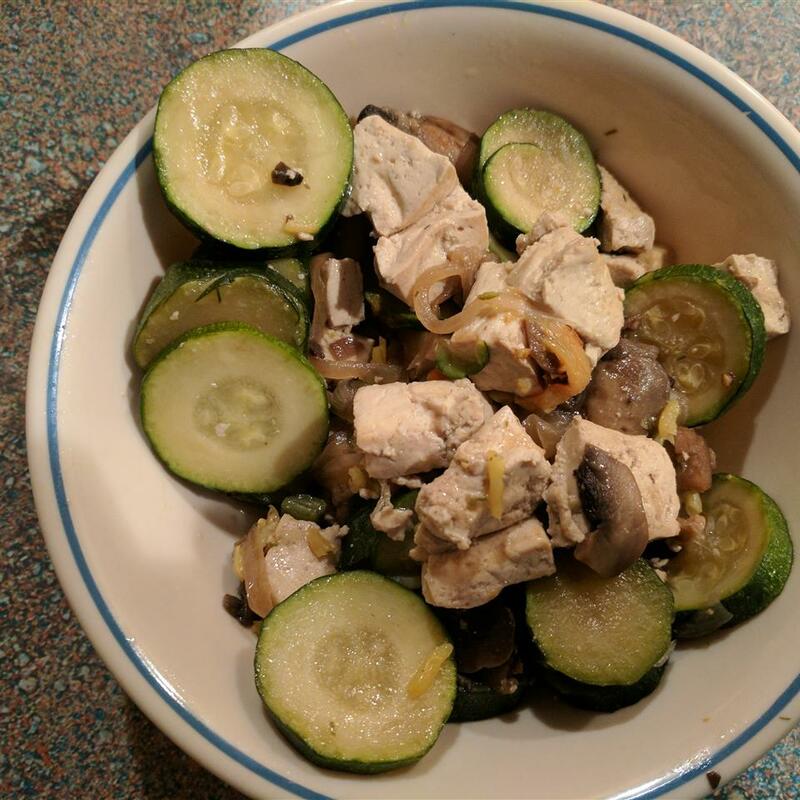 I followed some advice and fried the tofu in garlic and ginger along with some chicken breast (sorry vegetarians!). That was great and so was adding some green onion. Also we prefer using chunky peanut butter as the peanuts add a nice crunch and texture. This recipe is a definite keeper. And for you carnivores the chicken is great in it. Loved it! Will make this again. 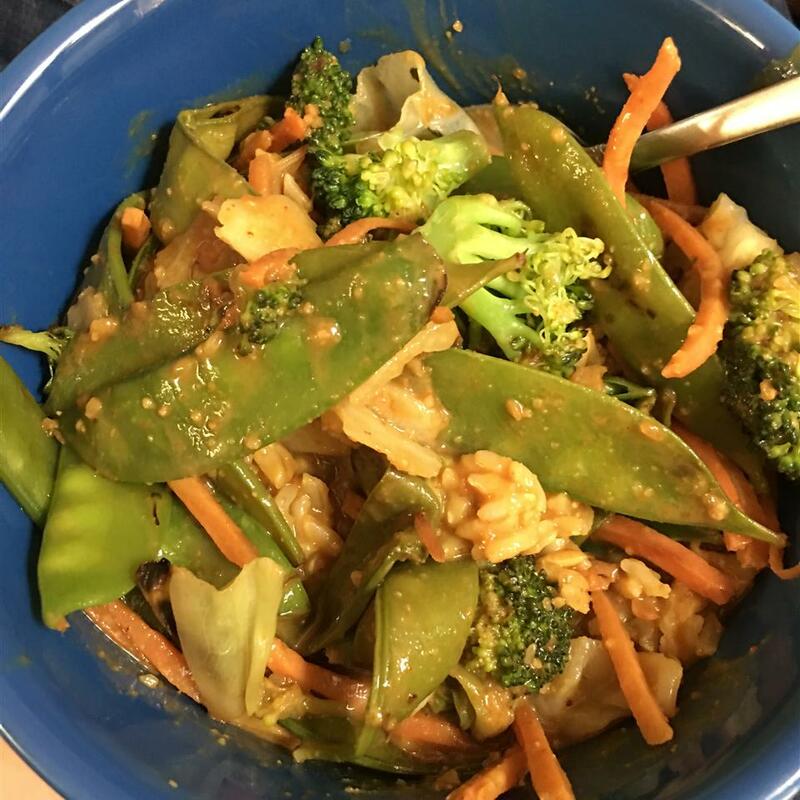 I also took the advice of previous reviewers and added garlic ginger to the oil and used more veggies like carrots and snap peas. 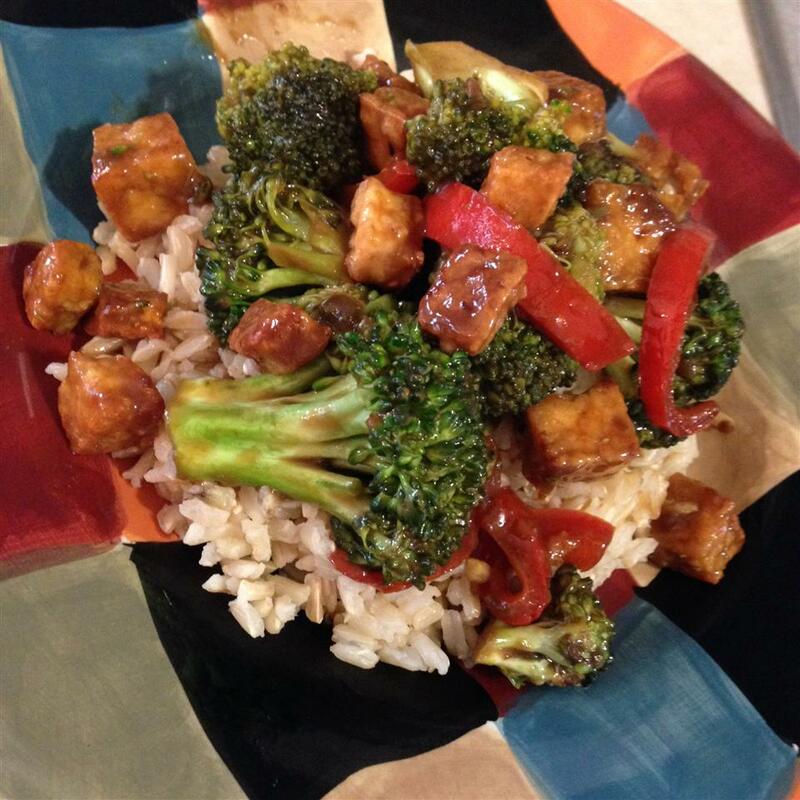 I did not have cayenne so used crushed red pepper flakes in the sauce and also to season the tofu as it cooked. 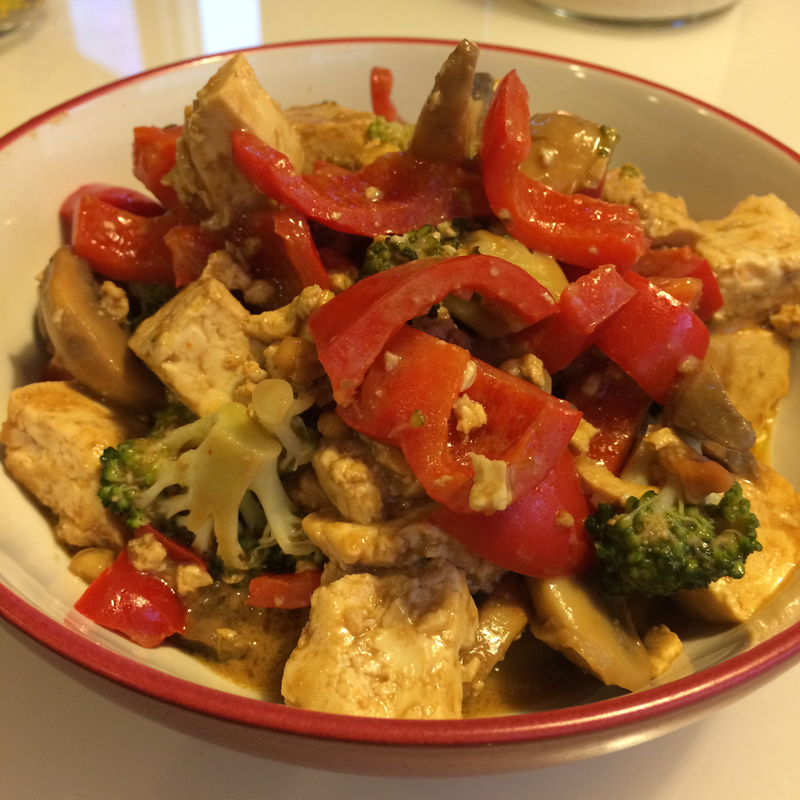 I was skeptical about the sauce - it seemed thin - but it thickened up nicely when I added it to the hot wok. 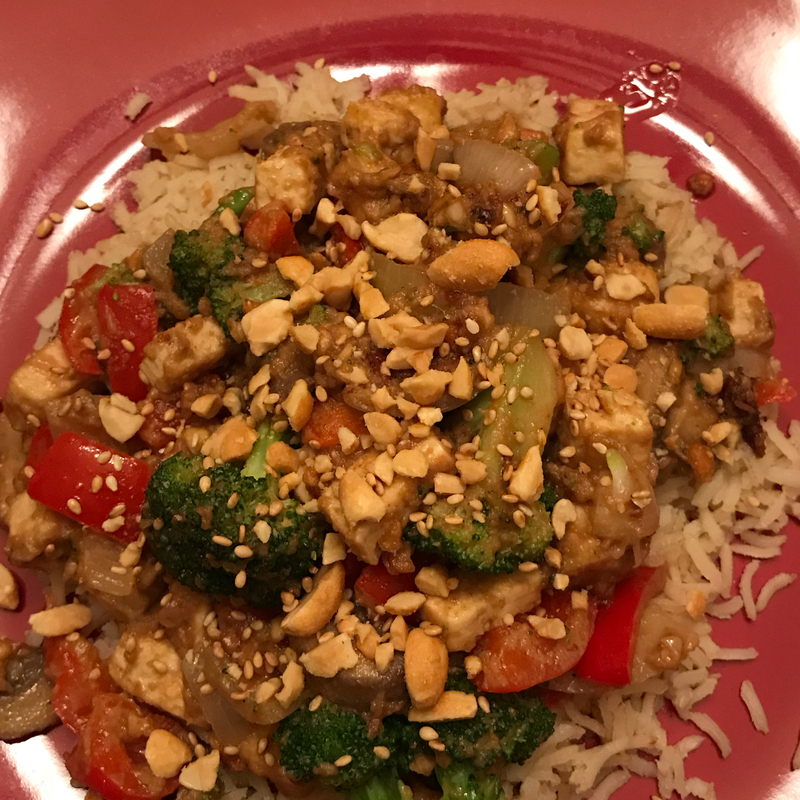 I finished with a squeeze of lime juice (had seen that in a peanut sauce recipe on this website) and thought it added a real nice touch to this dish. 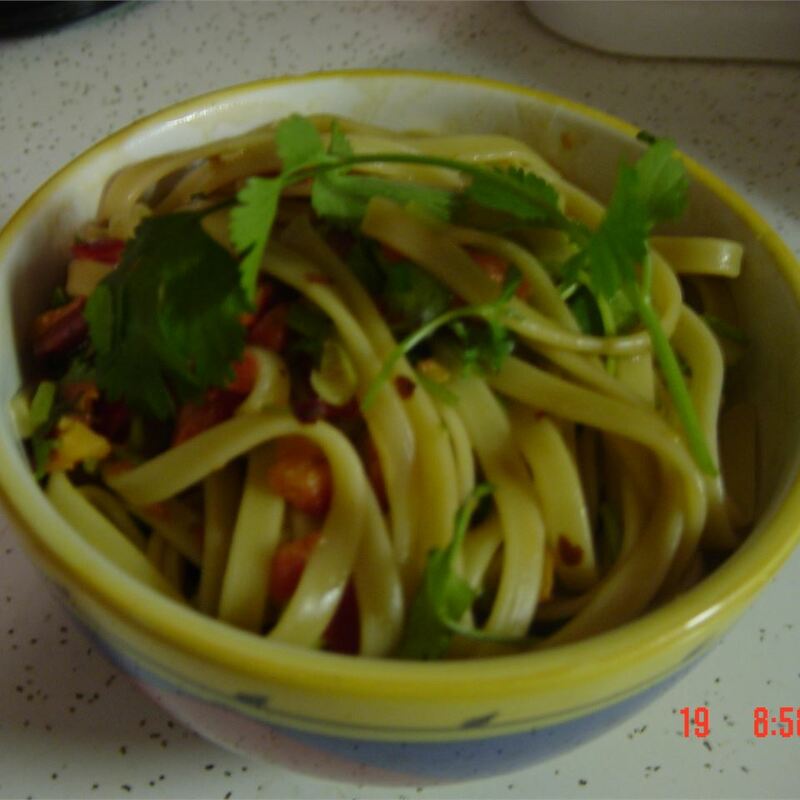 Overall an excellent dish and one that I will definitely make again! Very tasty recipe. I enjoyed the sauce. 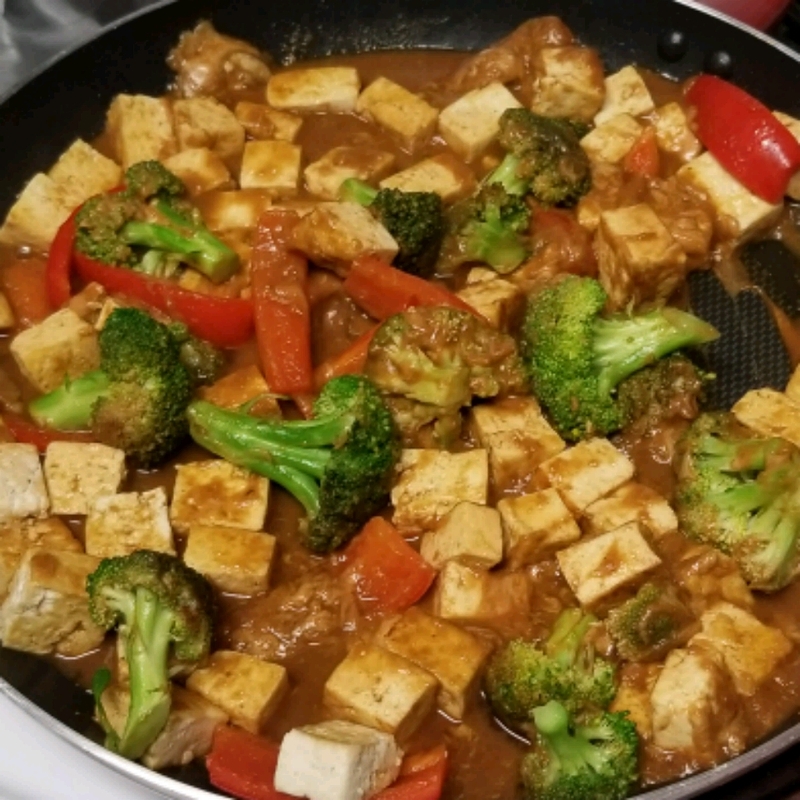 The first time I made it I sauteed the veggies and tofu together and added the sauce in the pan. 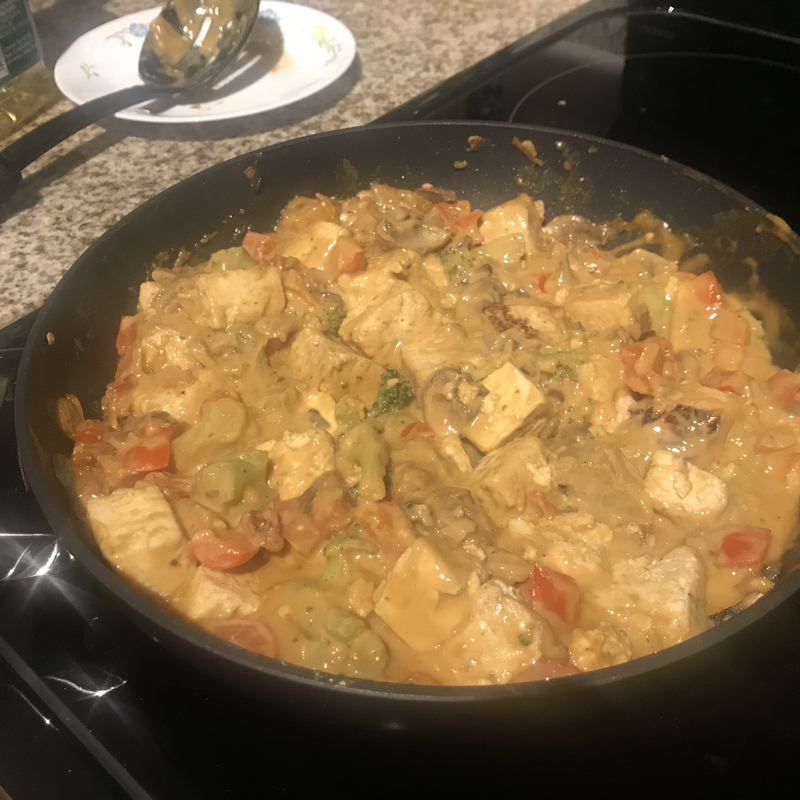 I found that it made the sauce too thick and my tofu never got browned. 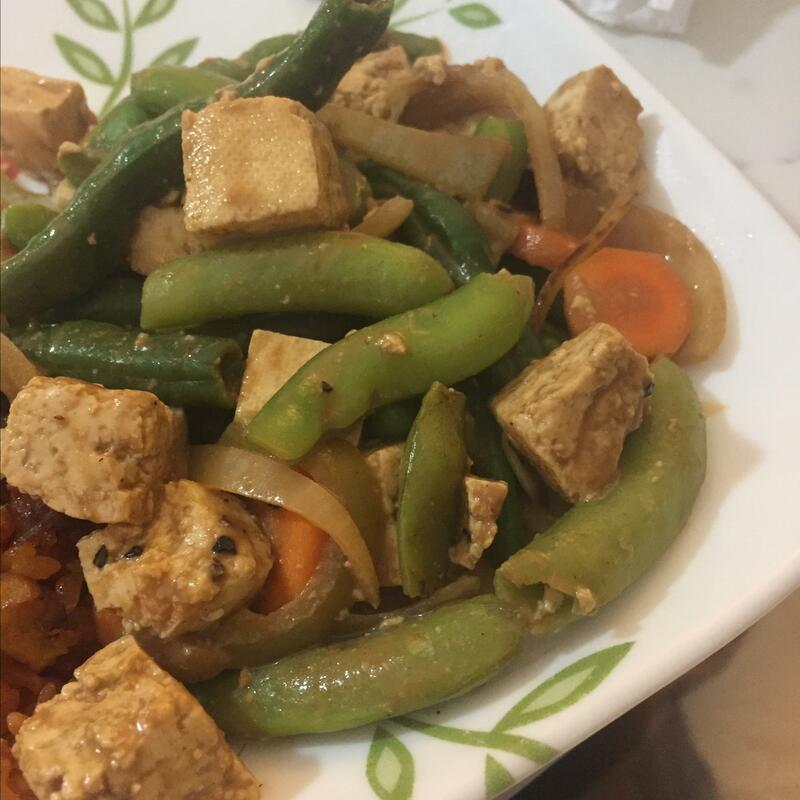 The second time I cooked the tofu separately in a little vegetable oil so it got nice and golden and a little crispy. 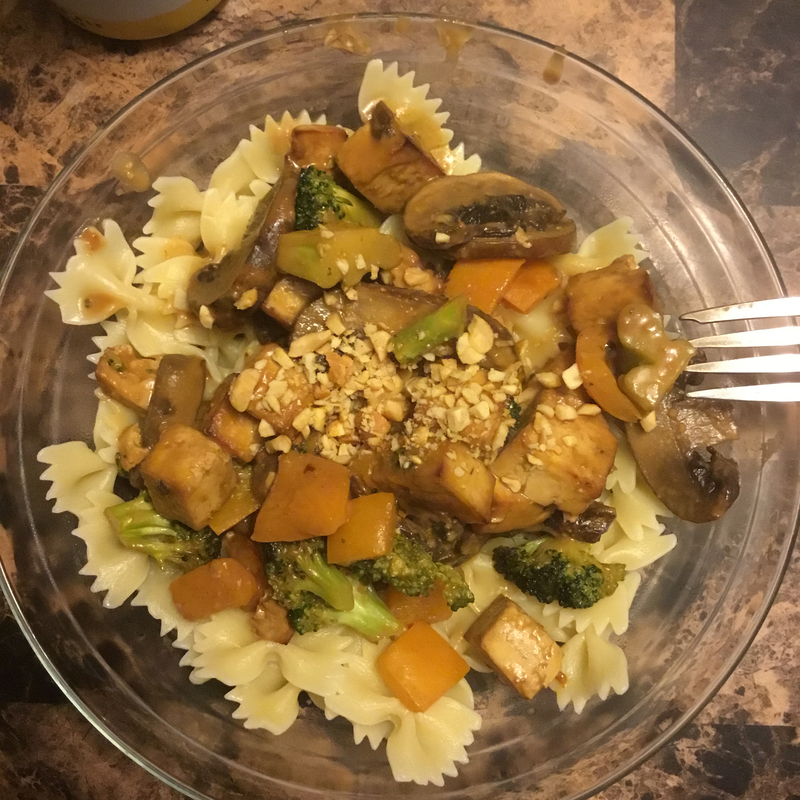 I then sauteed the vegetables separately so they were crisp tender and combined everything in a bowl -- with whole wheat rotini -- and ladled the sauce on top. That was great. 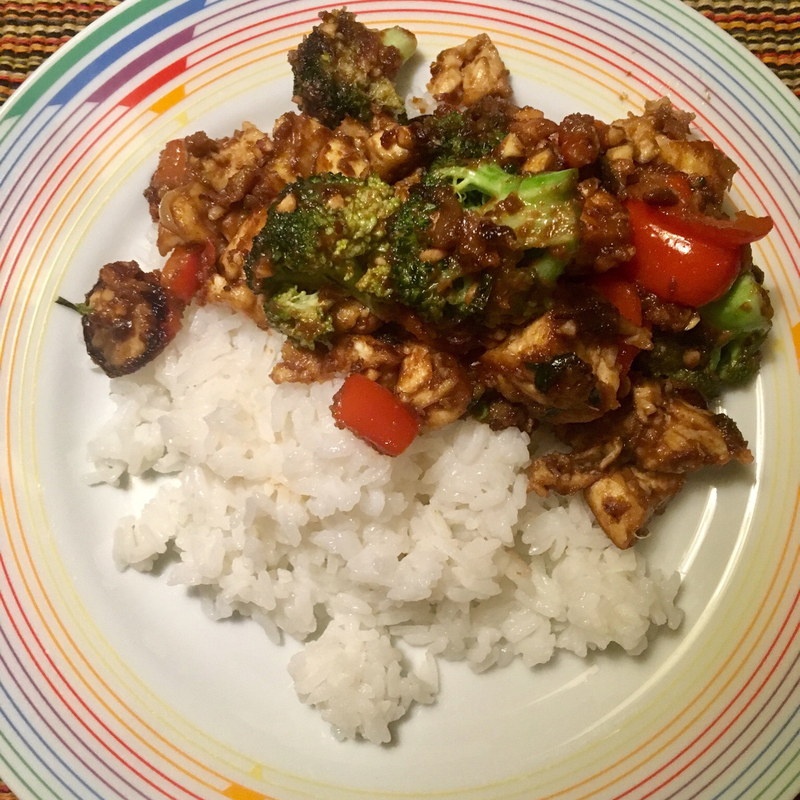 I also used chili sauce instead of the cayenne and added a little sesame oil to give it an even nuttier flavor. Great recipe though. I will be making it again. I particularly like the addition of the molasses. this recipe was really easy to make. i found a lot of useful hints in the reveiws before me. 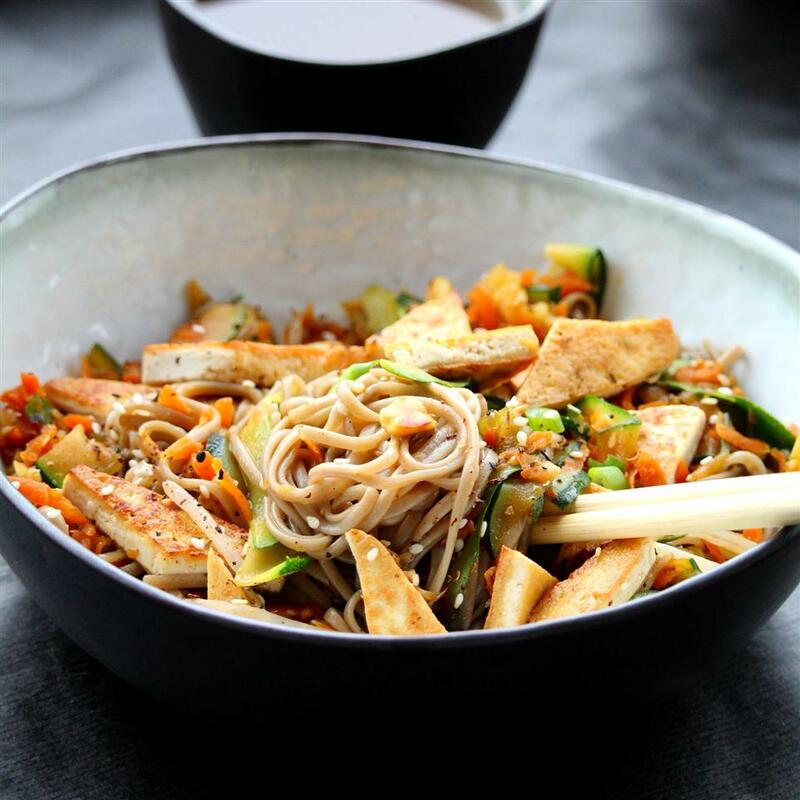 especially in browning the tofu and adding it back in at the last minute w/ veggies and peanut sauce. i did not add in the molasses or honey as suggested i really dont have a sweet tooth. and it wasnt missed at all. 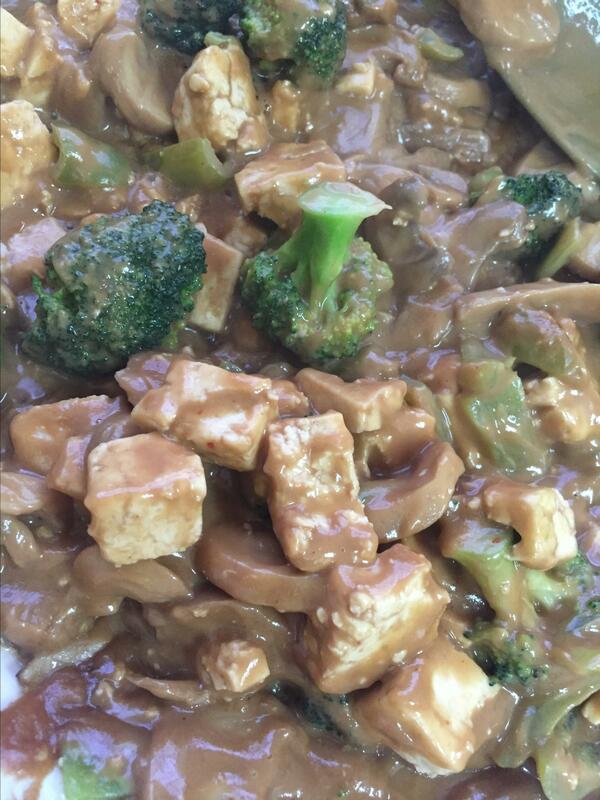 thanks for a great peanut sauce!